Yesterday, video game retailer GameStop sent out an email to members of its PowerUp Rewards Elite Pro program saying that it is coming to an end as of today, August 1. Surely the end times are near. I am an Elite Pro. But not for much longer. My subscription expires in 87 days. At that point I’ll lose access to one of the only remaining decent loyalty discounts in video games. The end of the absurdly named Elite Pro program comes on the back of several other companies like Best Buy and Amazon also retreating from similar ones. In 2016, Amazon, the mega corporation that made Jeff Bezos the richest man alive by selling stuff for really cheap and treating its workers poorly, started giving out 20% discounts on recently released video games for people with a Prime subscription. It was a game changer. For up to two weeks after a game came out you could get anywhere from $8 to $12 off the retail price plus two-day shipping if either you, or someone you knew, had dished out $60 for a year of Prime. It was a direct response to Best Buy’s Gamers Club program, which gave the same discount on new games plus additional store credit when trading stuff in. al credit when trading them in rather than the normal 10%. It wasn’t as good as getting the same discount on new stuff, but nice in a pinch and great for picking up older stuff. In the last few years GameStop also began selling games from older console generations. The Elite Pro membership was an easy way to get a discount ($3 off of $15) on things like Breath of Fire II for the GBA which I bought not too long ago and is currently sitting in the Game Boy SP on my nightstand. Late last year I scooped up some other more obscure classics, including Advance Wars 2: Black Hole Rising, Dragon Warrior Monsters 2: Tara’s Adventure, and Final Fantasy Legend. I’m a sucker for handheld JRPGs I can sit and grind through while watching TV, sitting on the subway, or falling asleep in bed. And while it’s always possible to hunt for them on Ebay or Craigslist, the discount and two-day shipping guaranteed by the membership provided a nice push to pick up old games I’d always wanted to try. In store was a similar story. Sometime ago Nintendo began reselling high interest first-party 3DS games under its “Nintendo Selects” program for $20. I got my 3DS late and missed out on games like Super Mario 3D Land and Luigi’s Mansion: Dark Moon when they first came out. At 20% off the used price though, it was easy to snag one every so often for $15. That’s how I got Animal Crossing: New Leaf, now easily in my top five favorite games for the system. 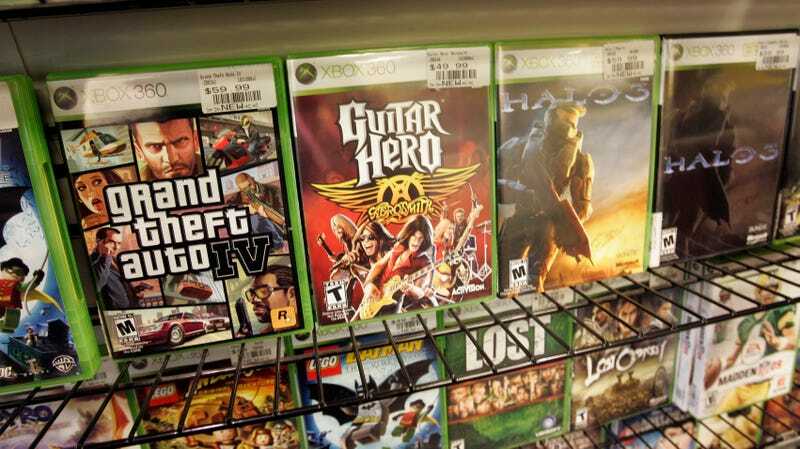 I won’t even get into how great it is to be able to walk into a GameStop that still has Xbox 360 games, many of which are now playable on the Xbox One, and pick up things like Red Dead Redemption and Lost Odyssey for the price of a lunch. The fact that GameStop’s rewards discount only applies to used games is part of the parasitic nature of its business model, but for me at least it also became a great way to more affordably dip back into gaming’s past. Under mounting pressure from investors and with potential plans to sell, the company has now decided to retire it. Fellow brick and mortar chain Best Buy quietly ended Game Club earlier this year, and even Amazon has diminished its Prime video game discount from recently released games to only pre-orders. Pre-orders are bad—people are better off waiting to hear if a game’s any good (and not broken) before buying it—which is part of why the news was so disappointing. Amazon UK recently ended its own Prime discount on games, and the U.S. store could end up doing something similar now that its competitors have already retreated. Sales of digital games continue to rise, as evidenced in the most recent round of publishers’ quarterly earnings reports, which makes selling physical games at a discount that much more difficult of a proposition. Unfortunately, while it seemed like for a while discount programs like GameStop’s and others might help physical games catch up to the sale prices and routine discounts digital games receives, it looks like it’s been unsustainable for just about everyone involved.